In an earlier post, I wrote about the backpacks we took with us on this trip. We’ve often been asked how we packed for four months. Packing for four months is really no different from packing from 1 month or for 10 months. You’re likely to get really bored with your clothes, but hey! what are shops for? I went shopping in Santiago and picked up a few things when I got really bored of what I was wearing. 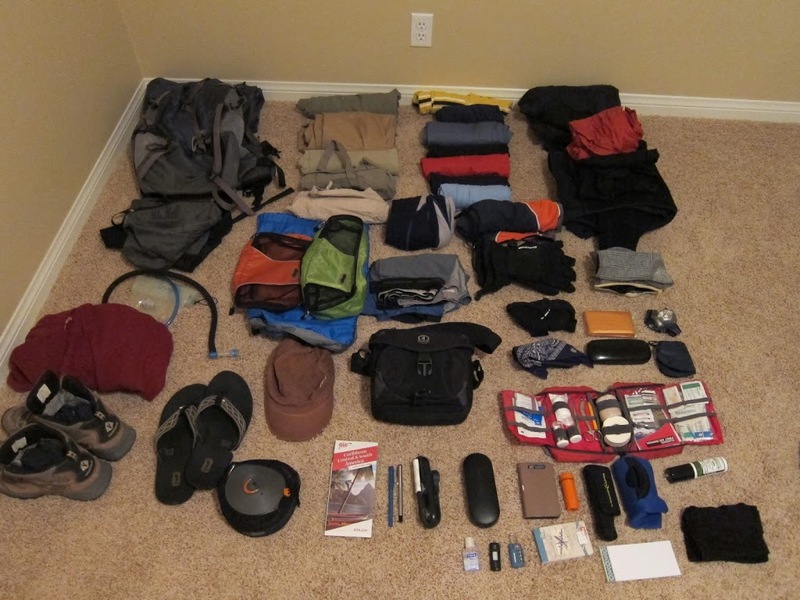 Instead of a his and her packing list, I am going to write this list by category. We were still packing up our house until the previous day, so we really didn’t have a lot of time to pack our bags well. Unless you work on the road or do heavy photo/video editing for a living, an MBP or apple laptop is not worth taking. As you know, most of the items above where stolen and we know a friend whose MBP was stolen too. If I had to re-do this trip, I’d take a used laptop or a chromebook. The heavy duty photo editing can wait until we return from our trip! Canon S95 is a superb travel camera – crisp images, normal looks, compact size – many pictures on this blog were taken using an S95. Pajamas – at least 1 each – Niru found a cool one in the Otavalo market in Ecuador. Backpackers are often spotted wearing these. They are striped and really loose drawstring pants. Laundry services are everywhere. This is one indulgence we did not compromise on. We only washed something if it was really needed – we often gave our clothes for laundry. They came freshly washed and folded. Keen Newport sandals – loved them dearly. I had been wearing these for a couple of years and just took them on the trip. Wore them in a lot of places including day hikes. Notes: If I were only traveling South East Asia, I would only carry a pair of Newport Keen sandals and flip flops. I used Swami’s flip flops to use hostel bathrooms. The essence of backpacking is flexibility and agility. We realized somewhere along the way that we were losing that. I was finding it difficult to walk at high altitudes with a heavy pack and decided that I’d rather do without the things I am carrying. We first went to our cousin’s house in Los Angeles before we started on our trip. Just that one small flight led us to shedding a few things at his place. A month later, we did another purge in Quito, where we shipped a few more things to my cousin (and spent a 100 bucks doing so!). We also had all the souvenirs we bought at the Otavalo market that we did not want to carry around. The important lesson to remember is that the world is far more connected than we realize. Everything is available everywhere. South American cities are modern and carry most modern essentials. My advice to travelers is to go to a sporting store like REI or Decathlon and get things like winter layers, hidden wallets etc and then just pack whatever is at home. Carry very less and buy what you need along the way- your back will thank you.